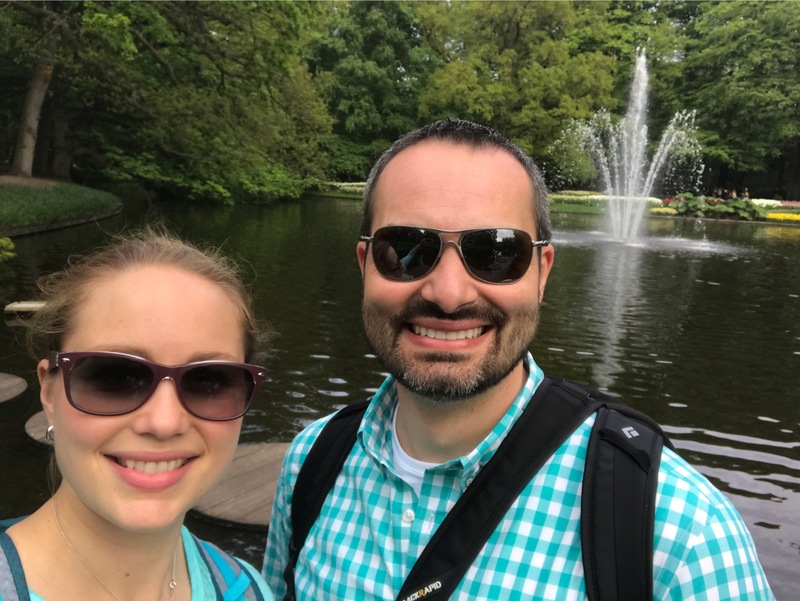 One day after work, I took a bus to meet Andrew and some of his co-workers at Keukenhof, which is a giant tulip and flower farm. It’s open only for eight weeks in April and May, so we made sure to get there on a nice evening as soon as possible. 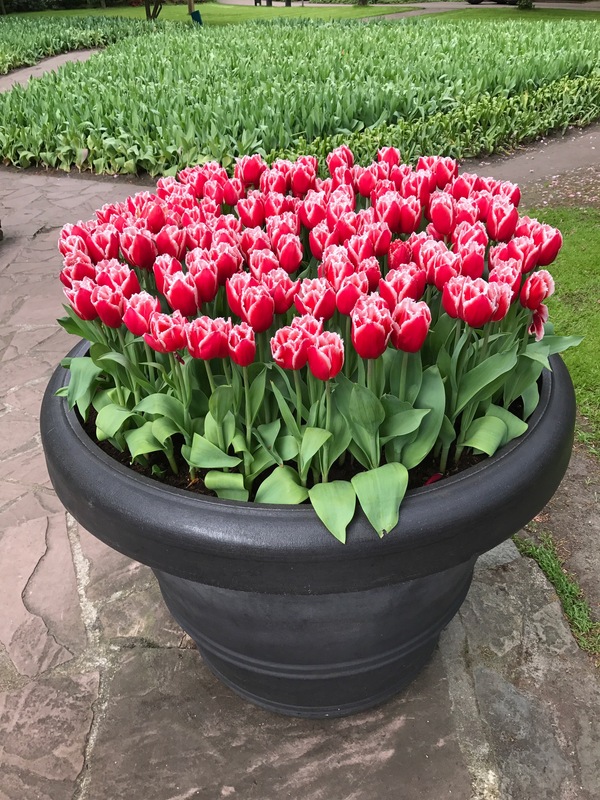 In addition to the acres and acres of flower fields (apparently an amazing sight from a plane), they have a walkable park filled with flowers, attractions (such as a windmill and a lily pond you can walk on) and expositions housed in buildings on the grounds. 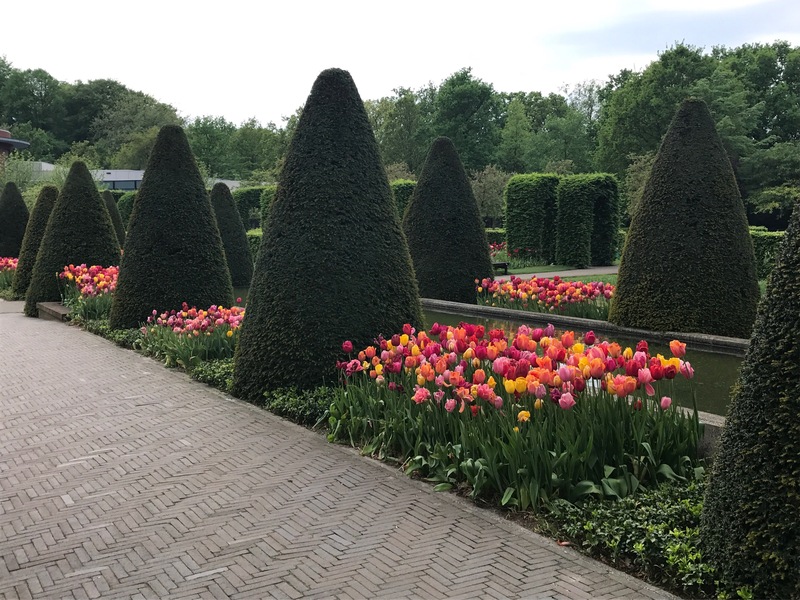 Unfortunately, the flower fields were all finished by the time we visited, but we did see plenty of beautifully designed gardens still in bloom. That evening, one of Andrew’s dutch co-workers recommended we head to the coast for dinner as it was such a nice night. 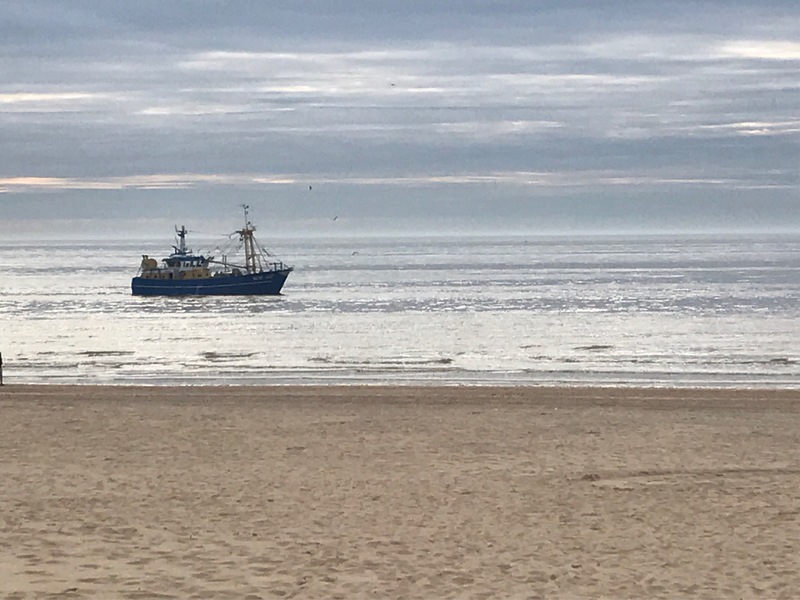 We walked a bit and found a restaurant with ideal seating and enjoyed fish, the smell of sea air and the extra 1.5 hours (!!) of daylight. Because we are farther north, the sun is setting at around 9:30 p.m., significantly later than back at home. The next morning, Andrew and I got up bright and early (6 am!) 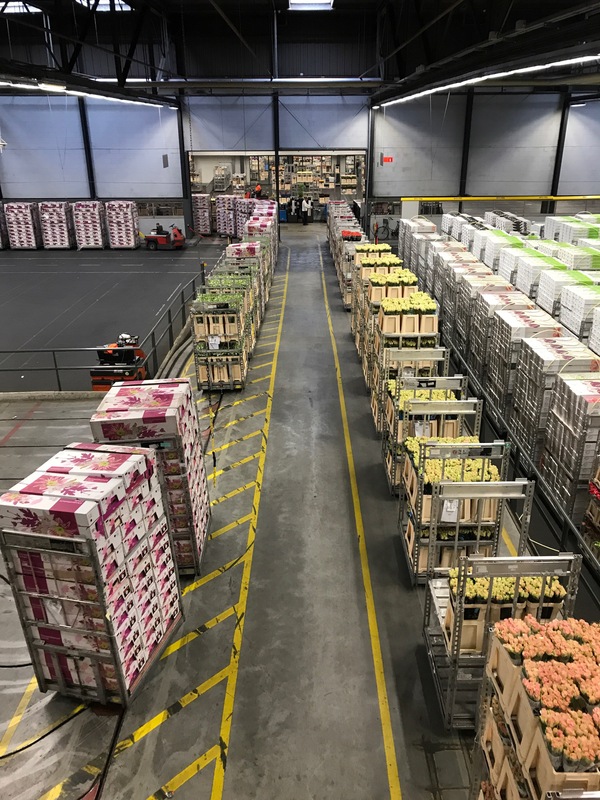 to get on the road to see the Aalsmeer flower auction. It’s best early in the morning and can wrap up by 9 am on slower days, so we planned to arrive by 7 am. 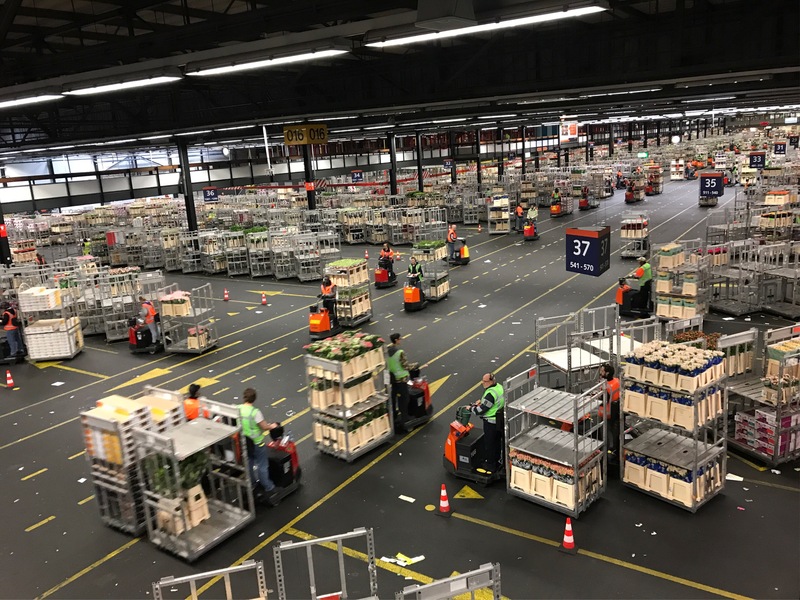 Royal FloraHolland is housed in the largest commercial building in the world (equivalent to 220 football fields!) and is THE flower market for Europe. 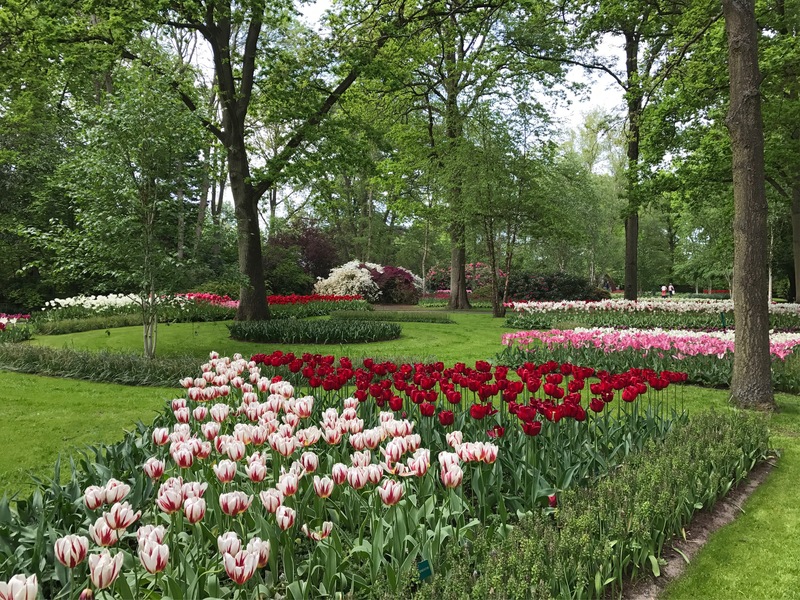 More than 20,000 different varieties of flowers and plants are bought and sold in more than 100,000 transactions a day. It’s operated by what’s called a ‘Dutch auction,’ the reverse of a traditional auction. With the price starting high and going low, it ensures transactions are completed incredibly quickly. 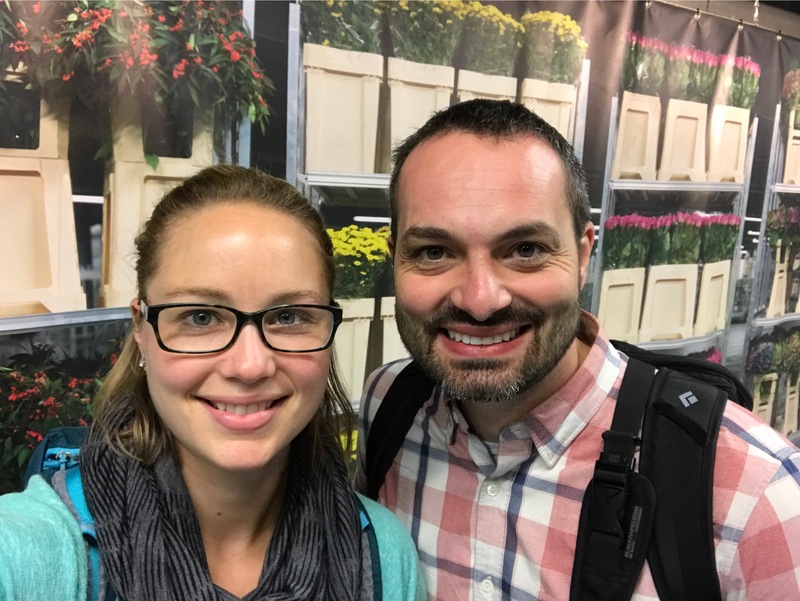 While on the tour, I heard it takes a new buyer more than a year of training before they’re ready. 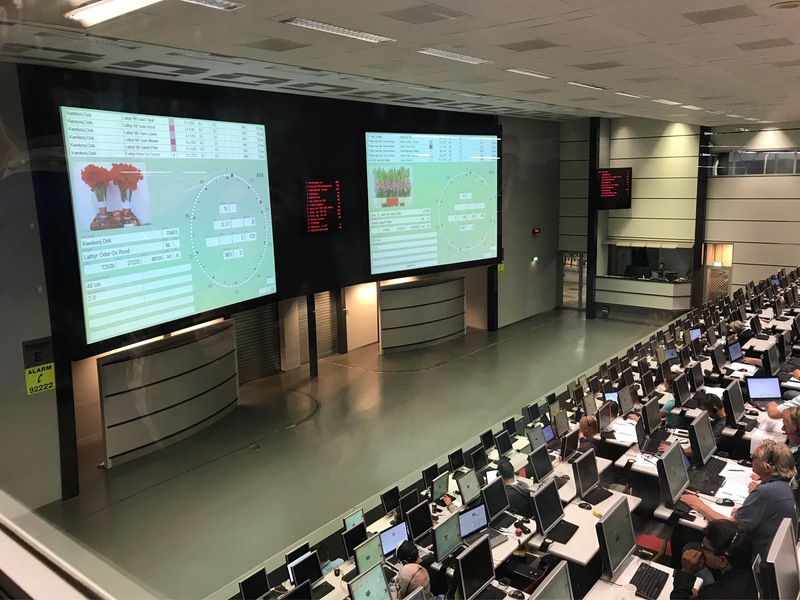 Sales at Royal FloraHolland are about 9.6 million euro per day, with about 4.4 BILLION euro each year. It’s incredible that 34.5 MILLION flowers are moved through this place every day. 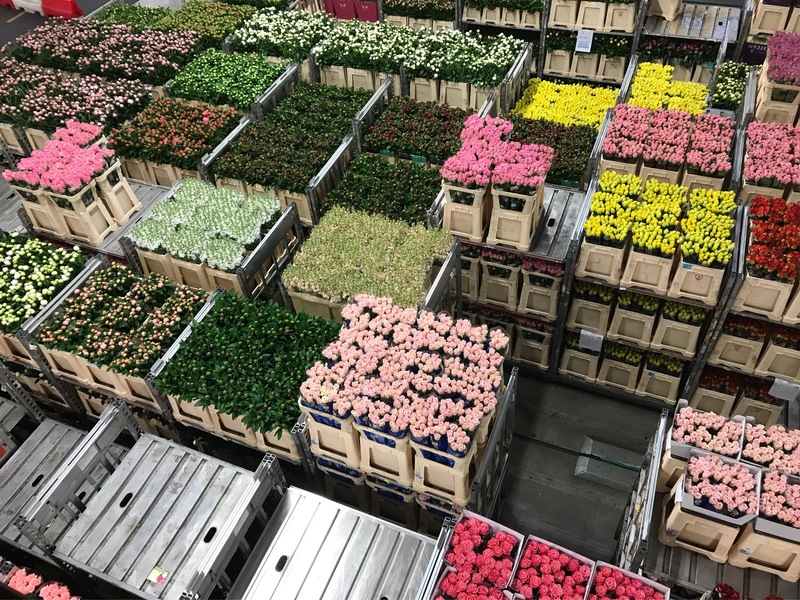 It was so neat to watch the action from above; thousands of employees (3,500) drive carts of flowers from end to end for hours. Within 90 minutes, all purchases are in the buyer’s staging area. 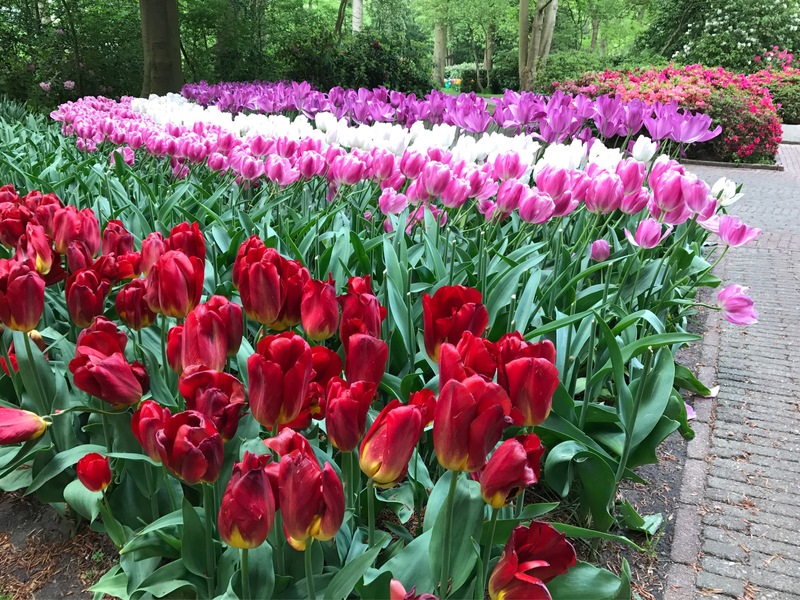 Posted on May 18, 2017 by thehealthypineapplePosted in TravelTagged aalsmeer, aalsmeer flower aution, keukenhof, royal floraholland.